Howco Distributing has demonstrated consistent and reliable performance on the fulfillment of tens of thousands of contracts over the past two decades. 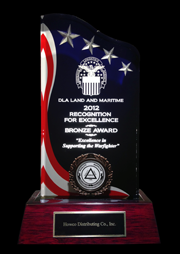 Howco Distributing was recently honored by the Defense Logistics Agency with the 2012 Bronze Supplier Award. 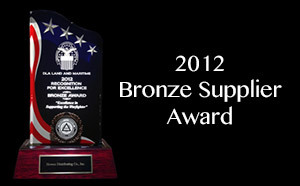 In order to obtain this award, Howco Distributing had to execute a 98% contract fulfillment rate quality and on time delivery. Our historical performance is consistently in the top 5% of all military contractors and suppliers.